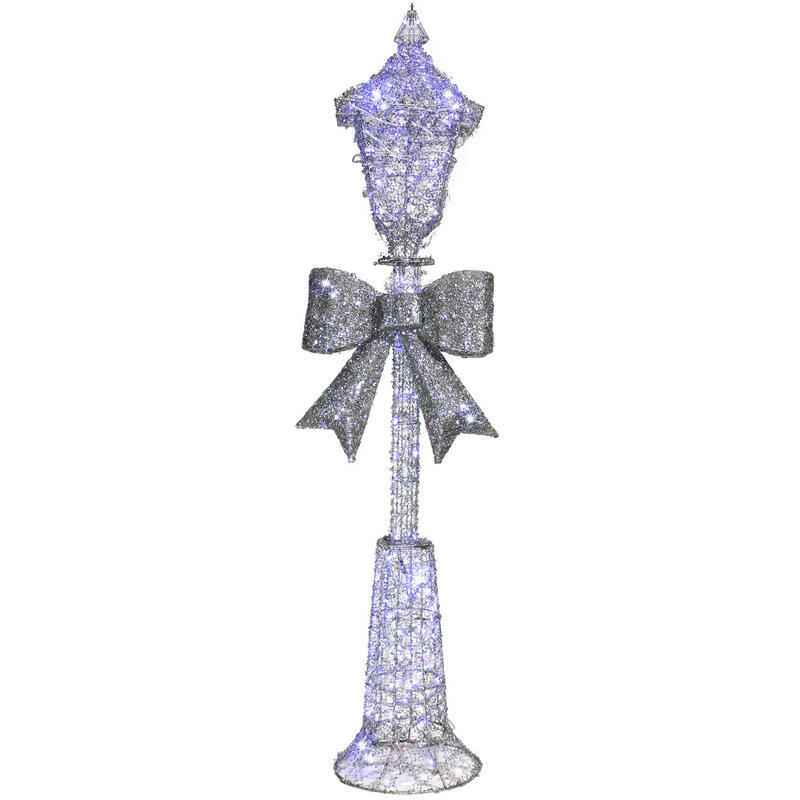 The quaint Silver Metal Lamp Post With Blue LED is simply enchanting. 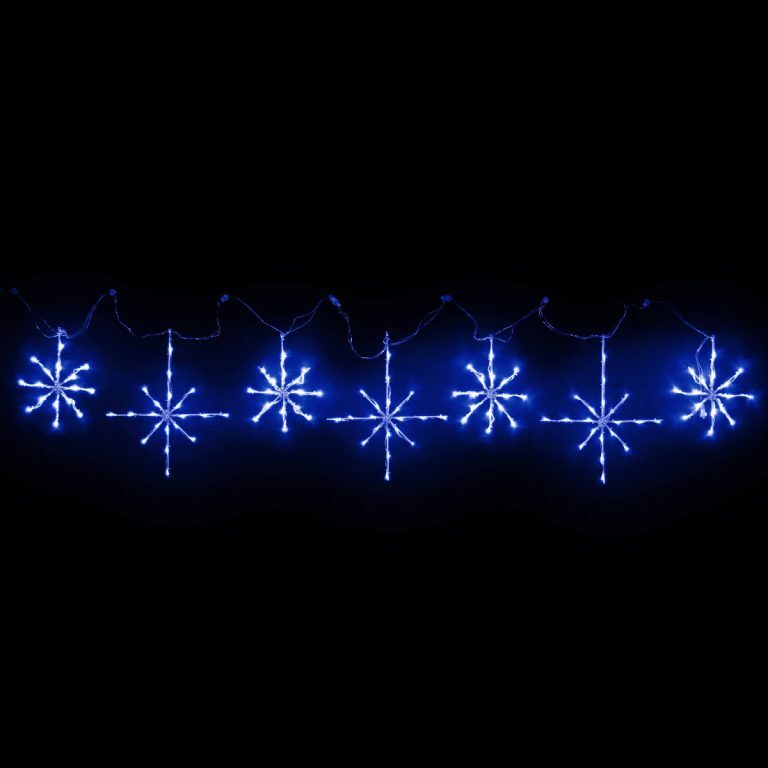 Each illuminated lamp post features an adaptor that controls a bevy of cool blue LED bulbs. The rattan-style frame of the figure makes a stunning accent for both indoors and out- and can be a festive focal point for any space of the home or office. Each accent measures approximately 33cm wide at the largest point, and 46cm in height. 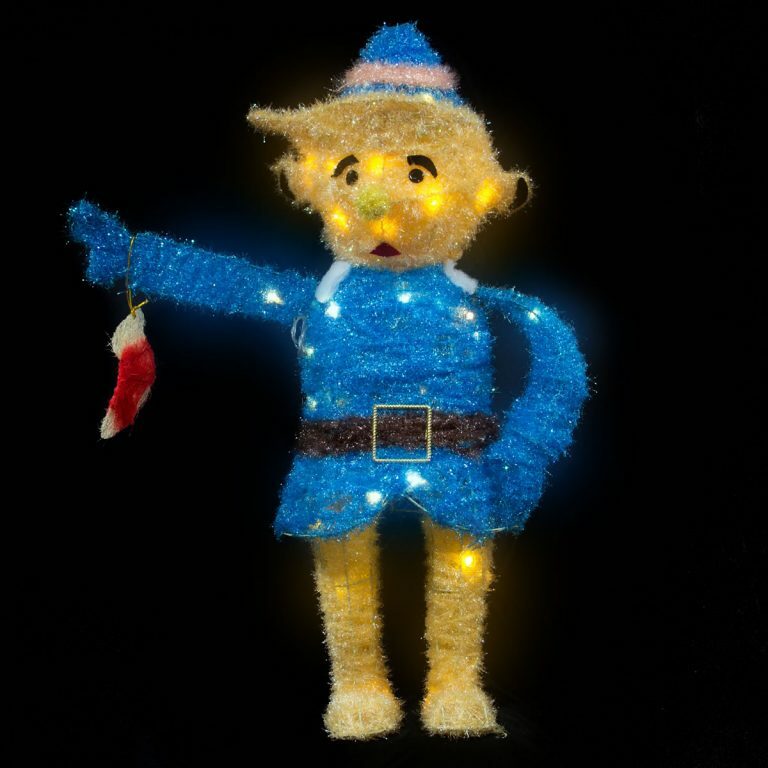 This is a very subtle Christmas light accent for a yard or patio, and really comes alive when the sun goes down. These beautiful blue bulbs will be a stunning complement to any holiday decor or colour themes. The familiar sight of the lamp post with the bold, beautiful bow tied around its middle. Pair this with the Silver Metal Lamp Post with green LEDs for a dazzling display that others will admire and enjoy.